Working closely with our sister-companies, XGrass can provide comprehensive landscape design services to help bring your project to life. 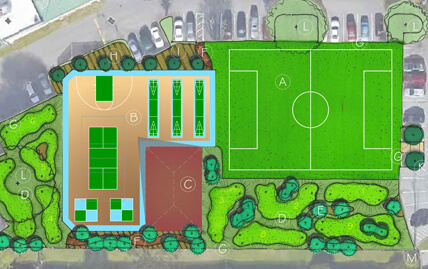 We can help you reinvent your school’s playground or transform your backyard with the addition of some innovative sports surfaces. 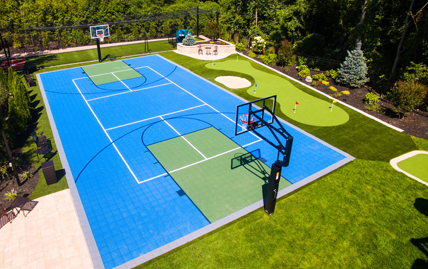 While traditional landscape architecture is focused on developing practical and pleasing outdoor living space, we focus on adding elements of fun, activity and healthy living. Plus, our team knows synthetic turf. We can do more than specify the best XGrass turf systems for your application, we can work with you blend the core elements of landscape design with innovative, environmentally-friendly surfacing from XGrass to create spaces that truly come to life. When you provide some basic details about your space and goals we will work our landscape architects to review the sites, ask questions and develop a design the brings your ideas to life. 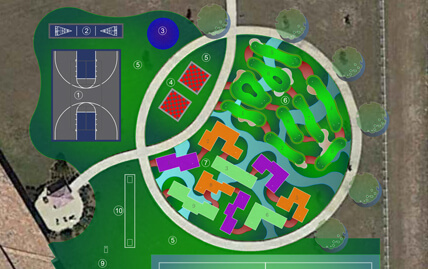 Designing recreational areas requires extensive knowledge and experience in the field of sports and playgrounds. At XGrass, we not only have this experience, but by working closely with our sister companies like Aktiv, VersaCourt, Play On Courts and Tour Greens, we tap into their years of expertise of developing solutions for specific applications. While typical backyard landscapes feature amenities like outdoor kitchens, fire pits and outdoor TVs, we specialize in bringing backyards to life. 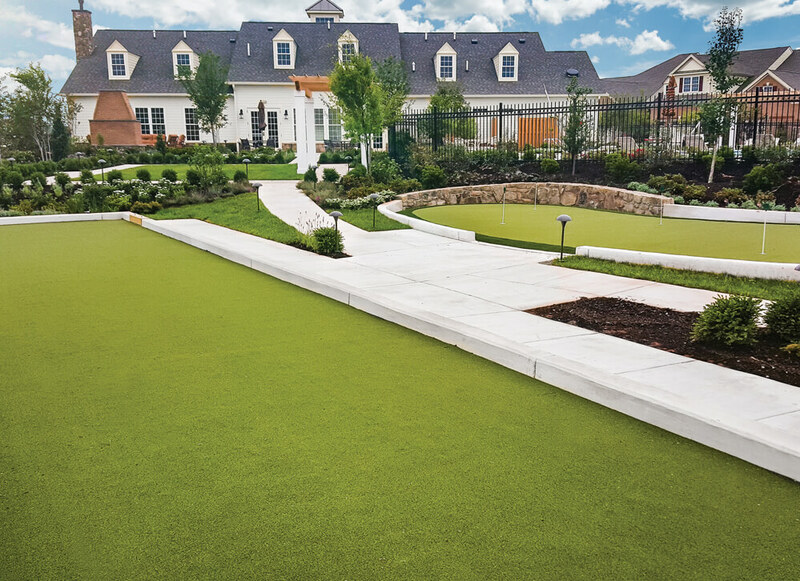 By integrating popular amenities like putting greens, bocce courts, playgrounds and multi-purpose game courts, we transform open areas into space where families and friends can gather to play, exercise and enjoy life.